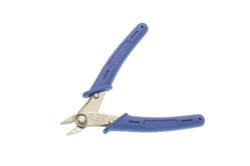 We are a leading Manufacturer of stainless steel micro shear, tapered head micro shears, micro shears, stainless steel heavy duty diagonal nipper and stainless steel cutter from Roorkee, India. 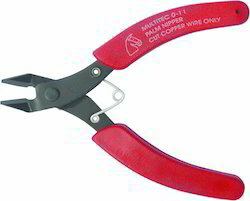 Application Suitable for electrical work by electricians and other tradesmen primarily for gripping, twisting, bending and cutting wire and cable. Brand Name Multitec Handle Material Cellulose plastic Item Weight 68 g Material Type Carbon steel Model 06 SS Packaging Dimension (LxBxH) 12.5 x 6 x 1.5 cm Size 125 mm TSIN T014000995 Warranty No Warranty Warranty Terms Conditions Against manufacturing defects only. Key Features Easy to grip. With the assistance of our trained professionals, we are providing our clients an astonishing range of Tapered Head Micro Shears. 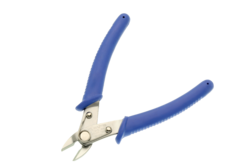 Backed with rich experience and knowledge, we are considered to be one of the most professional names engaged in offering of Micro Shears. Application Basically used for wire cutting and PVC components cutting. 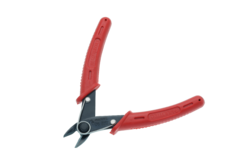 Suitable for electrical work by electricians and other tradesmen primarily for gripping, twisting, bending and cutting wire and cable. Brand Name Multitec Item Weight 100 g Material Type Stainless steel Model 012 SS Packaging Dimension (LxBxH) 15 x 7 x 1.5 cm Size 150 mm TSIN T002025135 Warranty No Warranty Warranty Terms Conditions Against manufacturing defects only. Key Features Easy to grip. 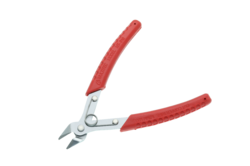 Looking for Micro Shear ?